Mast hinges are available for both the Sandpiper and the Sanderling. They allow the catboat owner greater flexibility in maintaining and transporting their boat as the process of raising and lowering the mast can be accomplished without the help of a boat yard. The sail and rigging need not be removed to raise and lower the mast, making it easy to take the boat with you wherever you want to explore. Each hinge is fabricated from solid stock aluminum and custom fit to each mast. After they are fit, they are anodized prior to installation to prevent corrosion. The hinge installation process can be lengthy so we recommend that if you would like to retrofit your mast with the hinge, arrange to get the mast to us at the end of your sailing season. We will have the hinge fit, installed and ready for you before you begin the next season. 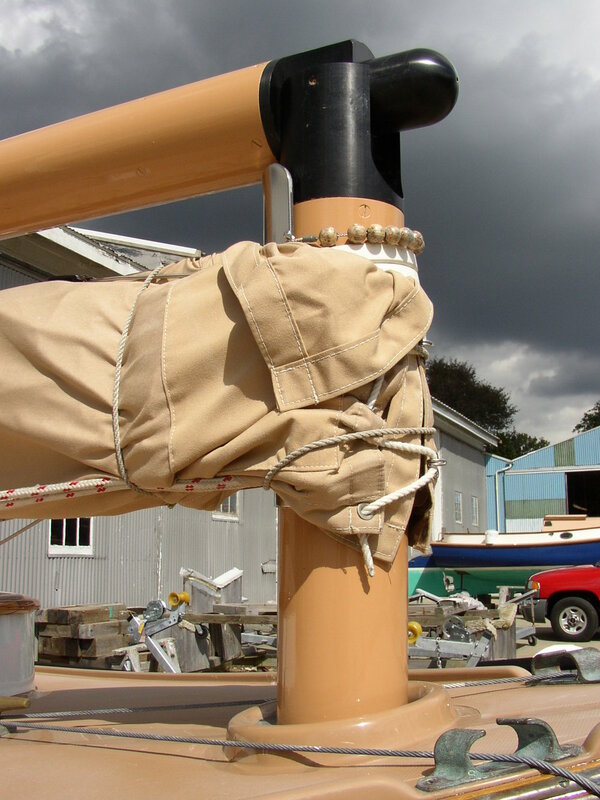 All older Sandpiper masts in sound condition can be retrofitted with the hinge, however, Sanderling masts must be newer than 1980 to accept the hinge, as the wall thickness prior to that year was too thin. For owners of the Herreshoff America catboats we can supply new masts with hinges for your boats as well. To maintain your hinge in good working order we recommend periodically lubricating it with a Teflon or silicone spray. These are dry lubricants that won’t attract dirt and grit, which can hinder smooth operation of the hinge.